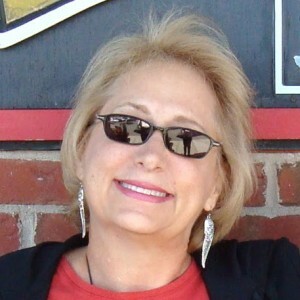 What: Pam Stack is a radio talk show host at Authors on the Air, and executive producer of the Authors on the Air Global Radio Network. She’s also a certified victim’s advocate, a multiple award-winning public speaker and former geriatric rehab specialist. Pam is the kitty mama to 5 rescued cats. How would you explain Authors on the Air to somebody who hasn’t previously discovered it? 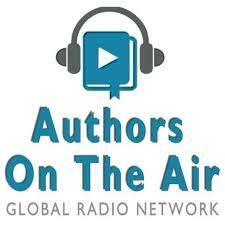 Authors on the Air is part of the Authors on the Air Global Radio Network. We are a digital internet radio company that is easily accessed via any device with a WiFi connection. Authors on the Air is the flagship show in the network, which I host. This program provides a LIVE 60 minute format to authors, traditionally, small press or independently published, whether debut or well-established, to be interviewed. Authors have a chance to tap in to our 2.5 million listener network in more than 50 countries and have their interview and books promoted through our social media of 250,000+ followers. It is my intention to introduce readers to fiction authors in all genres, and some non-fiction writers, via a casual, organic conversation. Listeners can also call-in and speak to the guest. What was the first interview you did for Authors on the Air? What have you learned about interviewing authors since then? I was first a co-host and the first interview I participated in was with mystery writer C.J. West. As a host, I interviewed an independently published writer of my favorite book in 2012, Rod Lindsey. I’ve learned and continue to maintain that speaking in a casual organic way without pre-set questions to my guest showcases the author and his/her personality. Listeners enjoy what the writers have to say about their inspiration, process and how they spend part of their non-writing day. My style of interviewing has remained the same, but perhaps my questions are a little more in-depth as I learn from my guests. Your bio says that you average 350 books a year. Is that still true considering the number of authors you interview now? Publishers, publicists and authors send me books all the time and I am so grateful to have the opportunity to read them—it’s my passion and keeps me grounded and sane. Although I receive 20-40 books a week, I don’t read all of them. Some stories don’t interest me as a reader, some aren’t that good, quite frankly, so by the time I weed through all the books, I read about 400 a year. I’m a fast, efficient reader, particularly books of authors whose writing style I am familiar with. Don’t own a TV and don’t go to films, so that helps. Some books I read to be able to talk my guests, but most I read for pleasure. Who have been some of your favorite author interviews? What makes for a good author interview? My favorite interviews are those where the guest author just forgets that we’re doing an interview and has a conversation with me and listeners. I can read a press release to find out what a publisher wants me to know. But I want to see a different side of the writer. Some of my favorites have been James W. Hall, John Lescroart, Daniel Silva, Jeffery Deaver, Professor David Morrell, Jacquelyn Michard, Allan Leverone, Hugh Howey, Russell Blake, Steve Konkoly, Simon Wood, Joe Clifford and Tom Pitts. What are some of your favorite books of all time? How about from the last few years? Asking which are my favorite books is like asking which kitty is my favorite. 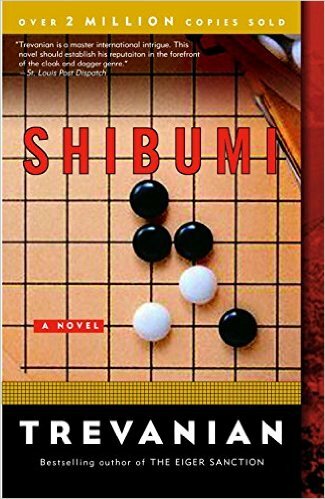 Having said that, I still read and re-read SHIBUMI by Trevanian, THE PRINCE OF TIDES by Conroy, everything by Robert B. Parker, Raymond Chandler, Elmore Leonard and the greats of that generation. More current books that stay with me are Joe Clifford’s LAMENTATION, Tom Pitts’ KNUCKLEBALL, all of L.A. Fiore’s romance books, Steve Konkoly’s PERSEID COLLAPSE series, Ian Graham’s VEIL OF CIVILITY and military science fiction author H. Paul Honsinger’s HONOR series. Terry Hayes’ I AM PILGRIM. There are so many incredible books out this year. My list could go on and on. If you could interview one author from the past, who would it be? Ultimate interviews might be Elmore Leonard, Raymond Chandler or Robert B. Parker. I adore those authors. Short, succinct, and full of action. How can newer authors get considered for an interview on your show? What is one thing you suggest they do? What is one thing your suggest they DON’T do? I’m always happy to interview debut novelists regardless of how there are published. Content counts. If a book is well-written, well-edited and has a strong cover, that counts, too. I’m just like any other reader….make me WANT to read your book and find out more about you. It’s important to be able to go to Amazon and read a current bio with a professional author photo. Please don’t be upset if I ask for your publisher, publicist and Amazon links as well as a galley. I want to know what I’m talking about when I speak with you. Feel free to send an email to info@authorsontheair.com. If I’m not able to interview you, then I will share the interview request with my colleagues in the network. The only “don’t” I can think of is pressing for a quick interview. All of the hosts in the network are booked usually 3 months out. I’m thankful that we are busy, so I can never guarantee interviews or dates. What can we expect from Authors on the Air in the coming year? Who are some of your upcoming guests? The future of Authors on the Air and the Authors on the Air Global Radio Network continues to be very bright indeed. I fell in love with the writing of all the neo-noir crime fiction writers so I hope to be speaking to all of those whose books rock my world. There are so many excellent books in other genres that I want to explore those options as well. 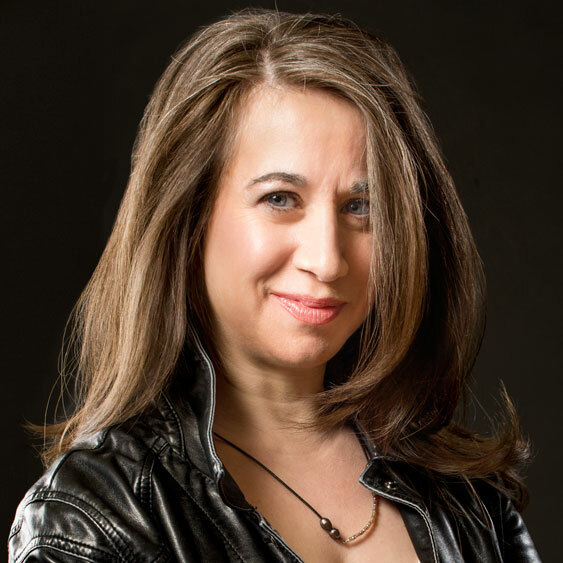 I’m pleased to be speaking to thriller author Alex Dolan, who will also be hosting a talk show in the network; Jenny Milchman (pictured), also a host but a good friend too and an award-winning writer; Simon Toyne; the great John Stanford (I own every one of his books); romance author Katie MacAlister; David Baldacci, and if the moon aligns with mars, Robert Crais and many more. 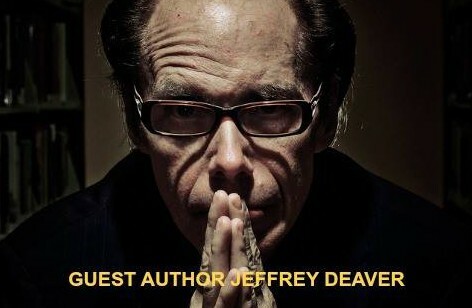 I hope that listeners and readers will let us know which authors they want us to interview. The network continues to search for the most interesting hosts and reviewers and we will be adding more shows for our next season. S.W. Lauden’s short fiction has been accepted for publication by Out of the Gutter, Criminal Element, Dark Corners, Dead Guns Magazine, Akashic Books, WeirdBook, Spelk Fiction, Shotgun Honey and Crimespree Magazine. His debut novel, BAD CITIZEN CORPORATION, will be published by Rare Bird Books on November 3, 2015. His novella, CROSSWISE, will be published by Down & Out Books in 2016. This entry was tagged #amreading, #amwriting, #authors, Authors on the Air, interview, Joe Clifford, Pam Stack, podcast, podcasting, publishing, Q & A, radio, Tom Pitts. Bookmark the permalink. Another brilliant Interrogation, and of someone so vital to our lives as authors!